I set out to create an event within my capacity and through personal networks, that would denounce these refugee detention centers as well as the treatment for asylum seekers in the United States. Before I knew it myself, Micaela Crighton, Myrna Donald, Dean Peachey, and Louise Simbandumwe created 'Canadians Care Coalition' and Rally for Refuge took place on July 11th, 2018 on the Manitoba Legislature steps. 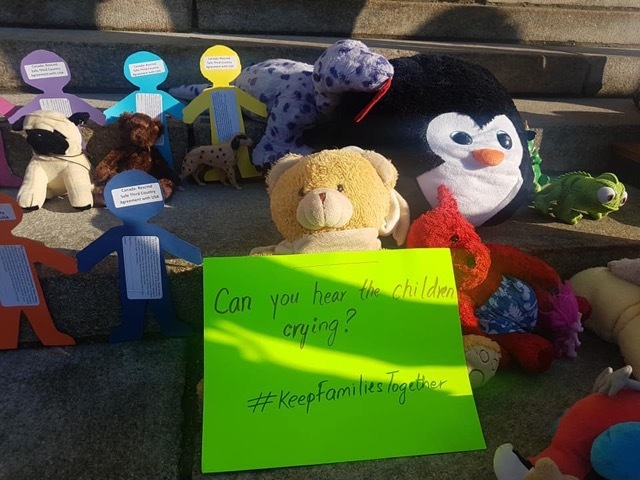 We asked supporters to place a toy on the steps, that would symbolize the 2000 children currently held in these detention centers. We cut out over 200 paper dolls symbolizing only 10% of the children in detention. We currently have 110 signatures on these paper doll cut-outs, that ask the Canadian government to rescind the 'Safe' Third Country Agreement. These bears will be making the journey to Parliament in a matter of days. The Safe Third Country Agreement does not allow asylum seekers to use the refugee determination system at the Canadian border if they are entering from the United States. Because of this, Manitoba has seen a high number of asylum seekers crossing our borders 'illegally', whether it is in the middle of our scorching summers or over our frigid winters. Without having designated ports of entry for refugees, people will continue to lose limbs, become ill, and die whilst trying to seek asylum in Canada. It is a fundamental right for these people to seek safe asylum, and to experience Canada as a nation that is supportive of their journey to peace. Alongside this agreement is The Zero Tolerance policy, created by the U.S. administration this past April, which separates and detains families who are seeking asylum. This policy, and the current practices in the United States for refugees, has placed asylum seekers at high risk of deportation to a country where they may face persecution. Those who seek asylum are sometimes imprisoned and held for months without adequate access to legal representation or translators, thus the most vulnerable populations in the U.S. are being targeted. I am finding it difficult to detach myself from the issues refugees face. They must be asking themselves, "Why is no one helping us?"... and because of this, volunteering as an activist has become incredibly meaningful in my life. Solidarity Winnipeg has planned "Unju$t Borders: Why We Need Migrant Justice Politics," happening this Thursday, July 19th 7pm at the Millennium Library. They are organizing a discussion about the racism faced by migrants in North America and Europe, and how the best response is not charity but anti-racist solidarity, and fighting for a world where people are free to move or stay. Additionally, Amnesty International is organizing a letter writing event in the near future. It is critical for those of us who are in support of rescinding the Safe Third Country Agreement to be present at these events and others like them, because it challenges our government to create inclusive policies for refugees seeking asylum in Canada. Without the voice and physical presence of people, these policies will stay intact and continue to keep refugees at risk of losing their freedom – and their lives. 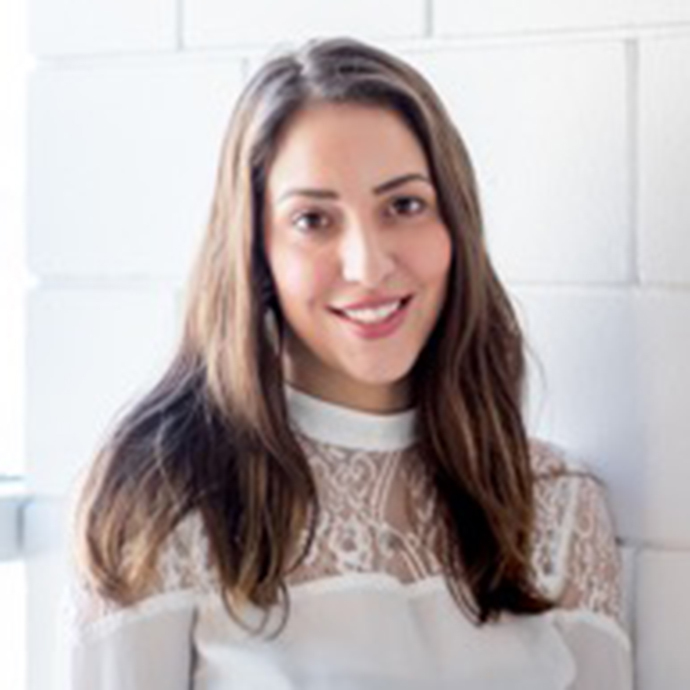 Alexandra Koslock is a community organizer with Canadians Care Coaliton. She is also a senior MSC student double-majoring in International Development Studies and Urban and Inner City Studies. Alexandra is the incoming Communications Coordinator for the Menno Simons College Student Association for the upcoming 2018-19 school year.